Contact us on 0800 043 5865 or Book Online Today! Why Junkporters Skip Hire Alternative? Junkporters Man & Van is a fast and Ethical Recycling service! Thousands of businesses across Nottingham and Derby Use our service everyday. Derby and Nottingham householders use our Man & Van alternative to Skip Hire as a simple, cheaper and eco-friendly alternative to skip hire. 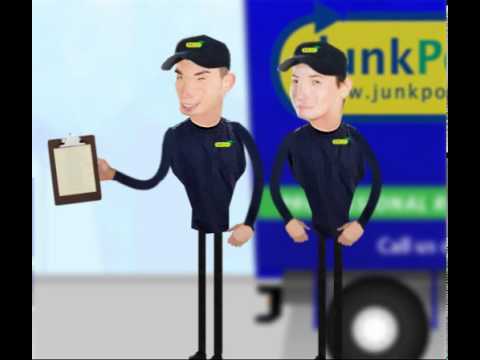 Junkporters man & van skip hire alternative is a professional and economic rubbish removal and disposal service that has you covered all the way. Loading, sweeping & a professional service included! You are charged by exact volume of your rubbish, not by the size of the skip. All types of waste are taken, as opposed to skip hire where certain items are prohibited. We even sweep up afterwards! Prompt response and efficient job.